It’s the first quarter in 2019, and yes the question has been popped to us at Dynamic Designs. Our clients are asking “what are the newest ideas for promotional give-aways, this year?” People love products that are new, cool and useful. So, we’ve done a little research on new products and attended some great new product shows this year and are sharing them with you in this article. Here are the Top 10 New, Fun and Useful Promo Picks for branding your business in 2019. Got a BRIGHT idea? How about a Light Bulb Tumbler with straw to impress your target audience. Sits flat, and could be filled up with candy or something for a a give-away at a trade-show. Maybe you want to share a new service with your clients, get their attention with this Light Bulb Tumbler from Brighter Promotions. Dynamic Designs Unlimited, can help you light up your sales this year, and increase your bottom line. 16 Ounce Light Bulb Cup with Straw. Product No. NOV844 by Brighter Promotions. Breath Mints & Moisturizer - 2 in 1. Product No. SMNPPB by Snugz. Double up with this new great promotion product from Snugz. #SMNPPB. Breath mints and lip moisturizer. Can be used as swag in bags for a Golf Outing, or Marathon/Walk/Run, any type of outdoor event, this will sure to bring a smile to contenders or participants. Cost? $2.50. On the go? This awesome product from Cleggpromo will be sure to impress your clients, employees and friends. Put your logo on this Power Tech Jotter Jr. with Built-In Power Bank and Cable - Product #: 624753. This product has three products in one, Price? Around $36-$39. Tired of losing your Air Pods - here’s the answer; a carabiner clip and classy case for your air pods. Never lose them again. Convenient, cool and useful techy product for young and old. 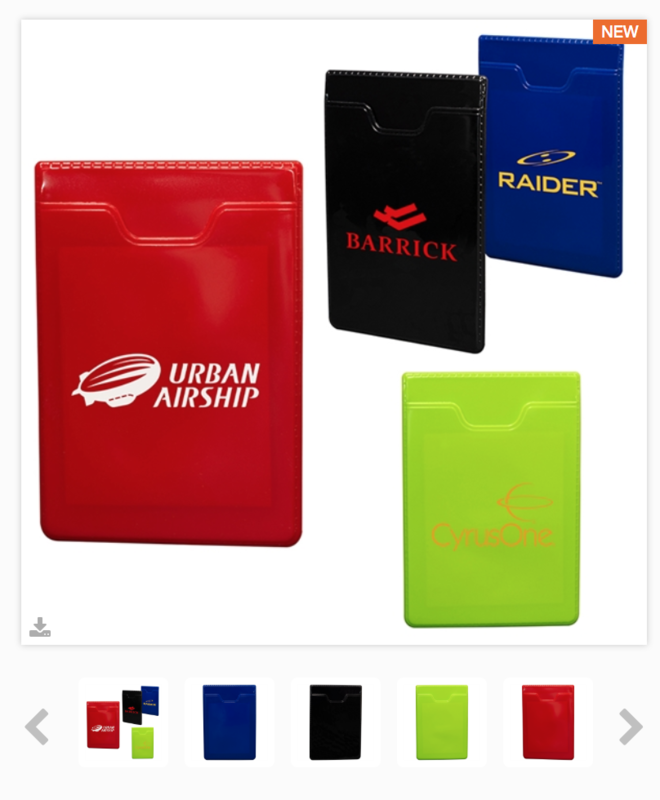 Silicone or Leatherette Airpod Carry Case by CFS Promotional Products Product #: LG-9386. Call Dynamic Designs Unlimited today for your branded air pod case. Primeline Roma Journal with Phone Pocket, #LG-9386, a variety of colors to chose from. Primeline provides this phone holder / Great for colleges, schools, seminars, trade-shows, executives and more. A journal with a phone pocket. Don’t worry trying to find a place to put your phone, this works great. Primeline Roma Journal with Phone Pocket, Item #: LG-9386. 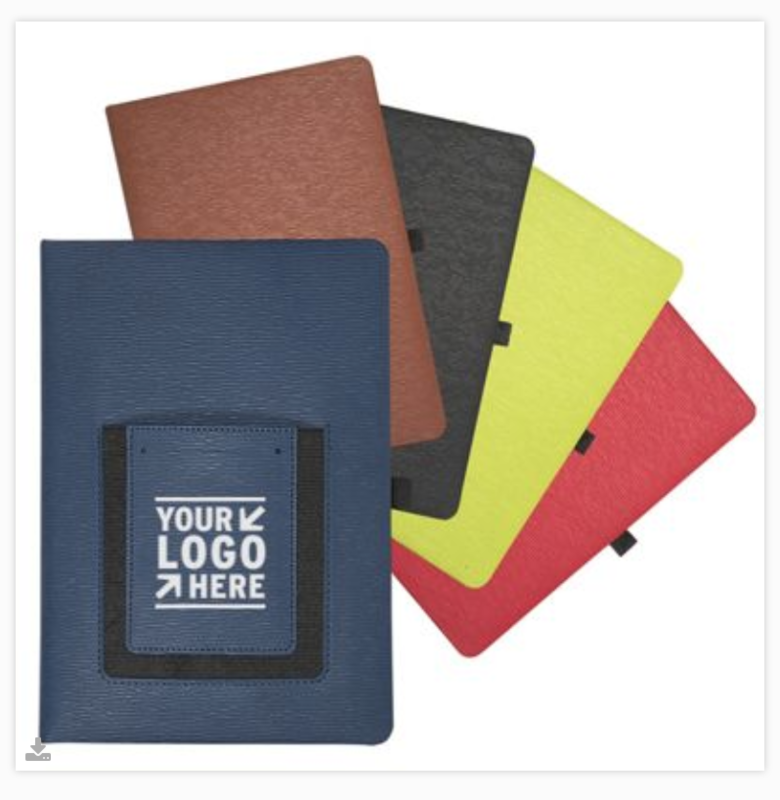 A great price point - $12-$14 this product gives you a journal with a place to put your phone. Leeman™ Handy Pocket Phone Holder - Item #: LG-9433. If the journal is a little too much for your budget, then let’s just try the smartphone pocket that sticks on to anything - lockers, books, cabinets, anything. Great for college students, trade show attendees, executives and clients. Price? $3-$3.50 range. Great trade show giveaways from 3M. Check out these products. A great full color presentation. And if you need something FAST, Post-It Noes, you can have quick 24 hour turn around with these options. Post-It Notes - New from 3M - Post-It Extreme Notes with Cover PC33EF - Full color graphic cover includes 45 unprinted 3 x 3 extreme Note sheets. The lint sheets are a great show product too - full color. It’s something that is extremely useful and can be easily stored or mailed. Scotch Custom Printed Lint Sheets Pocket Pack - PCLS or PCLSFC - $2.10-$3.50 price range. Smart phones are on the rise. Check out this unique twist on cell phone holders by Illini, the Smartphone Grip. Inexpensive too. 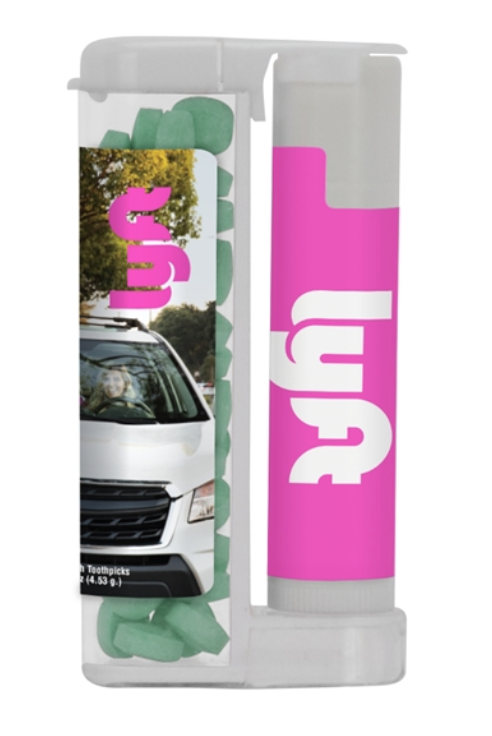 Great for trade show give-aways, conventions, education events and so much more. Get a grip on the Smart phone cell phone holder today. $1.20-$1.28. 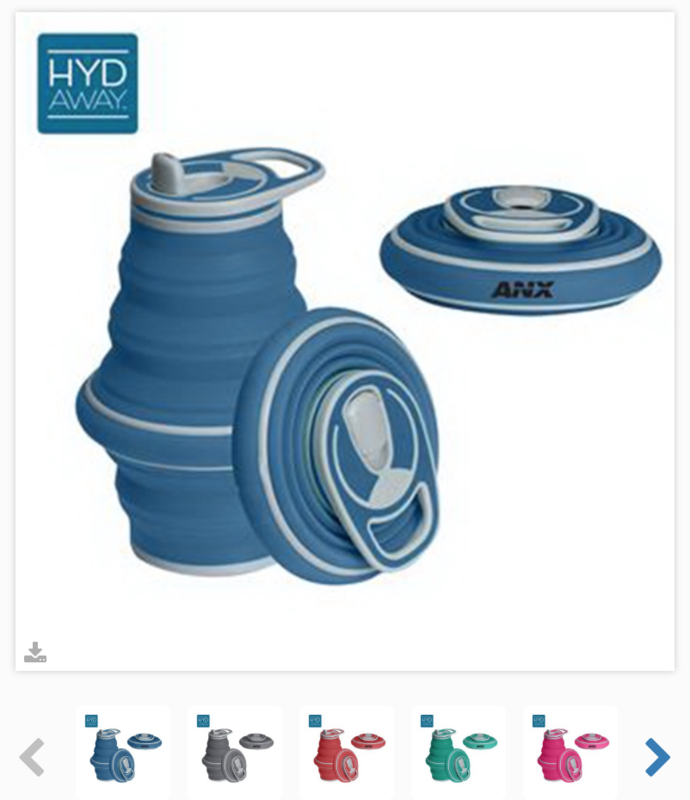 Drinkware is a universal product, and fits any size. Check out this premium mug by GoldBond that adds a little cork texture to the handle and base. The 18 ounce Ello Magnet Vacuum Stainless Mug has a sleek design, leak proof sealing slider for easy open and close functions. Perfect gift for employees, whether you are in the manufacturing, car, healthcare or financial industry, this product is diverse and will fit the need of individuals in all walks of life. Cost: $22-$24 range. Bags never go out of style, and have the most impressions of all promo products. Check out this Cotton Canvas Drawstring Bag by Gold Bond. The design is new and implements cork which is a current trend in the promo product world. You can’t go wrong with a sling back pack. Price range $5.25-$6.25. Another tradeshow must have from GoldBond, is this mini lantern light. Great carabiner clip to easily access anywhere. Great idea for bike events, running/marathons, travelers, summer fun events - this is a great branding opportunity for a large crowd. $1.80-$3.90. Safety first says Primeline. This budget friendly RFID Smartphone Pocket is a great way to let your clients know you care about safety. Don’t worry about your credit card getting hacked with this invention. Stick it on your self phone without having to worry. Super idea for financial institutions, travel agencies, insurance agents. Brand your business around the safety of your client. Produc Cost? Under a dollar - .69-.99. Newer PostFive Things You Can Do to Increase Your Website Rankings. Older PostHow to appear anonymous on Linked-In while researching your competition.